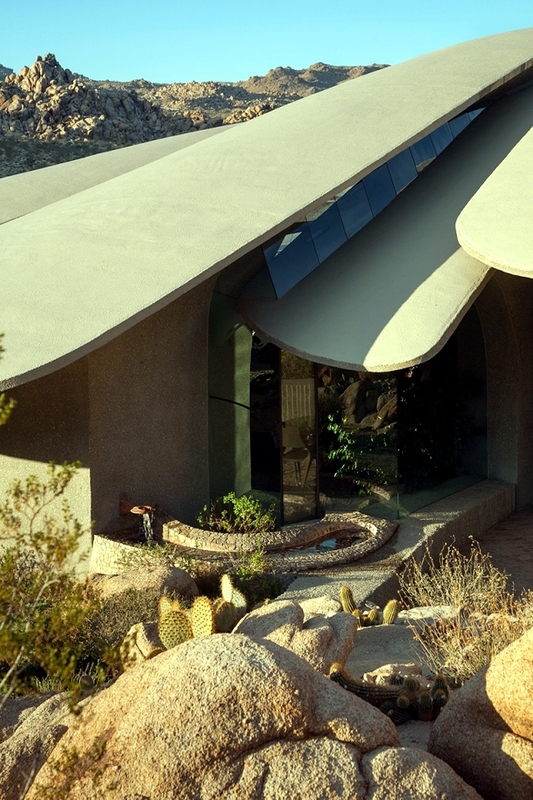 Perhaps you think that the desert is said mildly rude and shaped the lives of people. 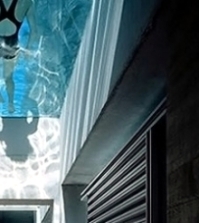 You should reconsider! 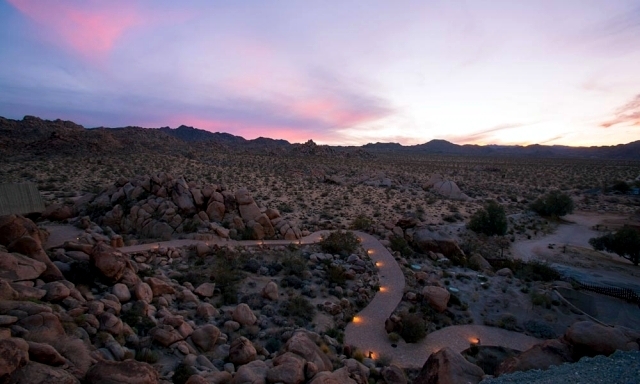 The desert has many faces who want to discover more and more adventurous. 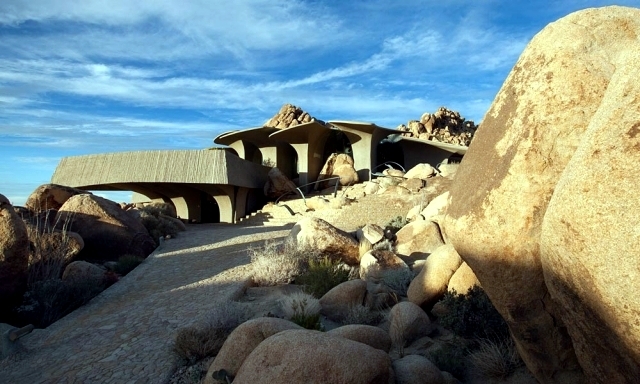 The deserts have become very popular travel places where you might put his physical and mental endurance to the test. 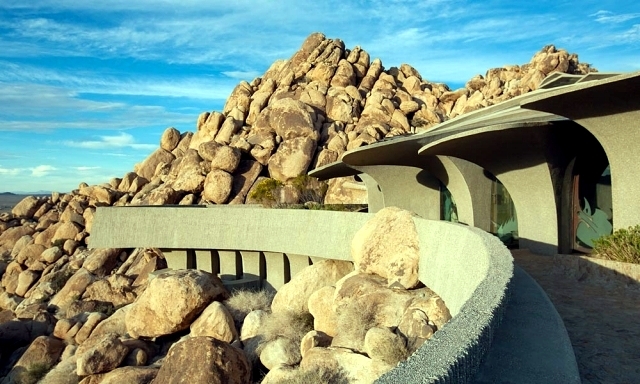 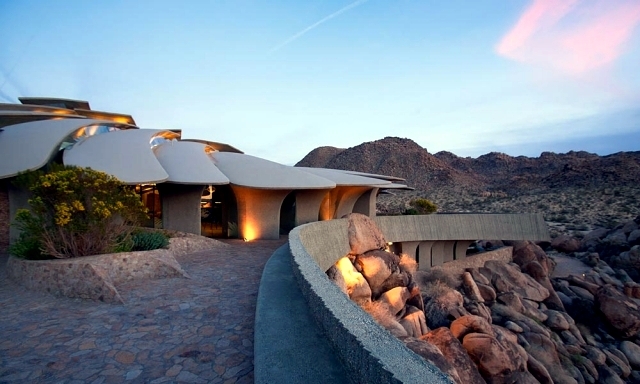 In the desert to build a home, it may seem unnecessary, but it was for the team ambitious architect Kendrick Bangs Kellogg and designer John Vurgin a unique challenge. 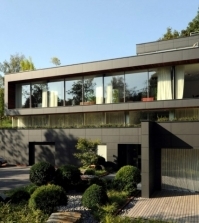 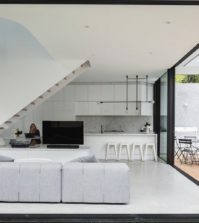 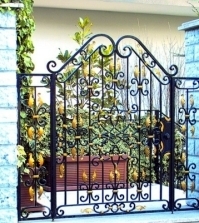 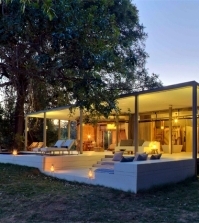 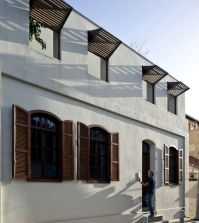 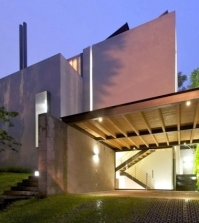 To complete the project for a modern residence, it was necessary a decade. 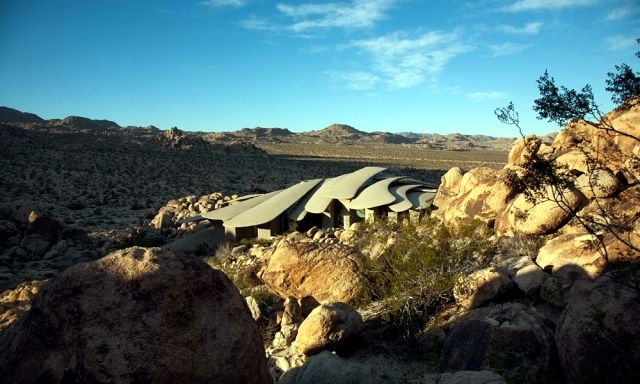 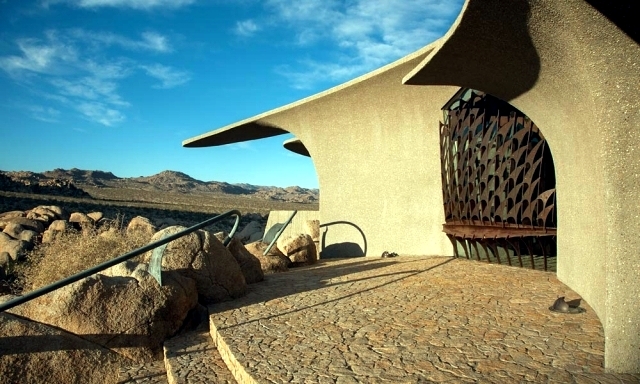 California Desert House was built on behalf of the artist Bev Doolittle and her husband. 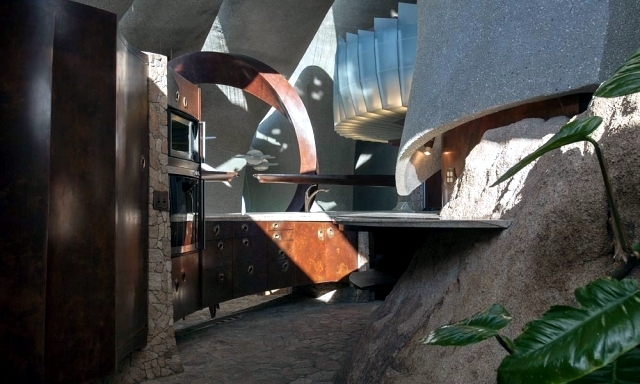 The family has put the owner specifying a unique and spectacular. 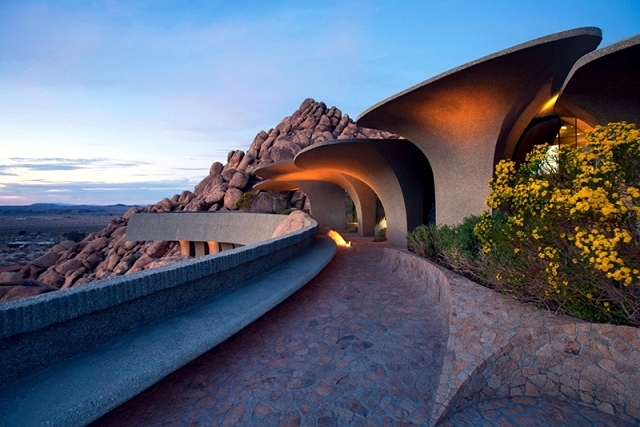 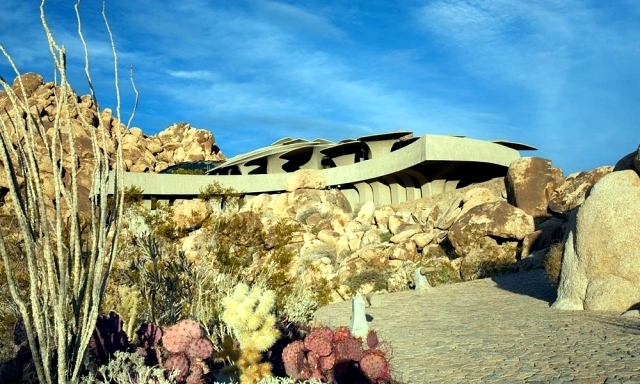 The result is an undisputed architectural masterpiece, and offers an exclusive and ultra-modern desert landscape of California. 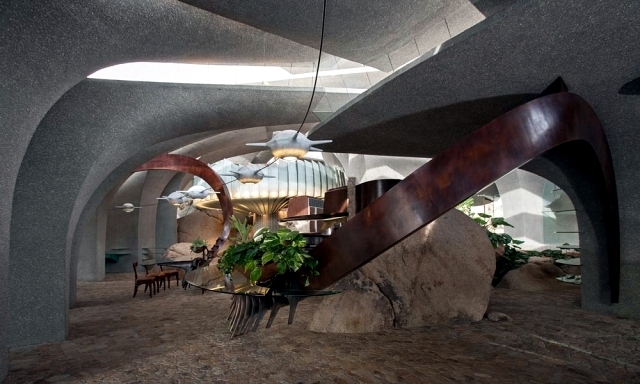 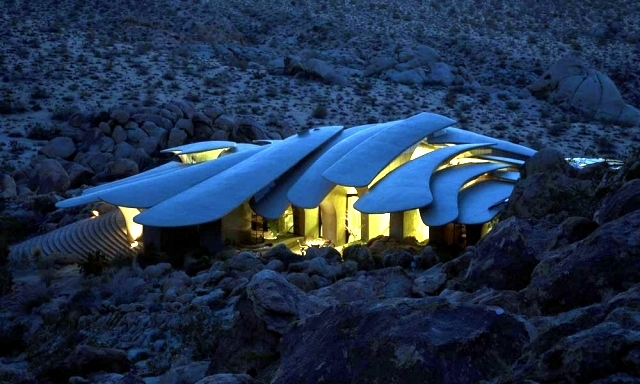 Futuristic structure is estimated at $ 3 million. 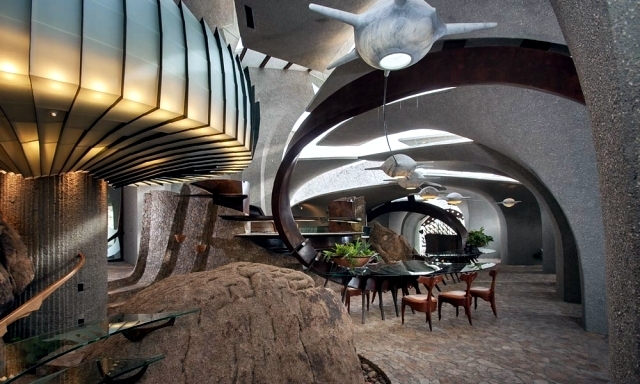 This impressive residence is prehistoric and futuristic at the same time - almost like a time machine, it offers a journey through time. 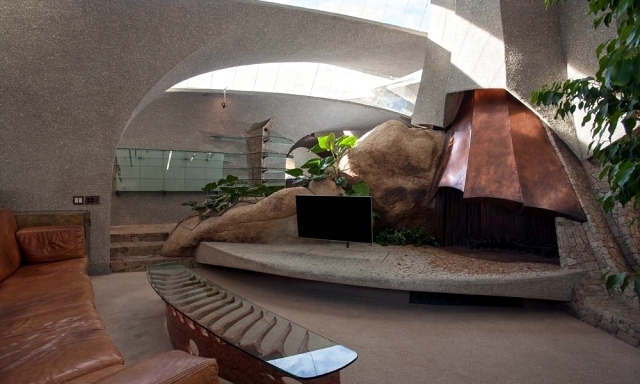 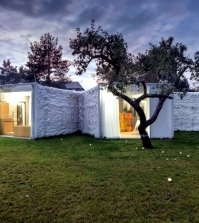 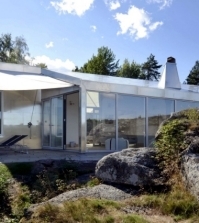 In part, it is reminiscent of the houses of the series "The Flintstones", but much more modern. 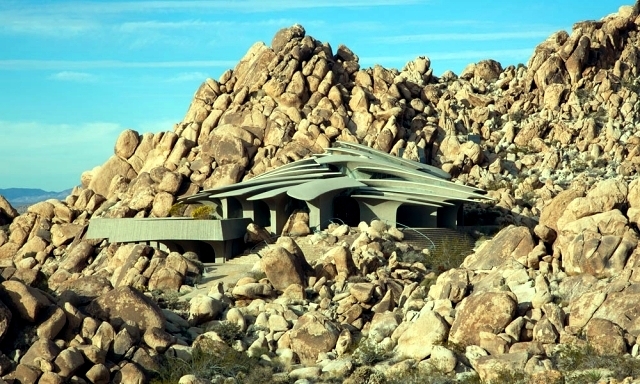 Of course, life in the desert is not as difficult as you thought. 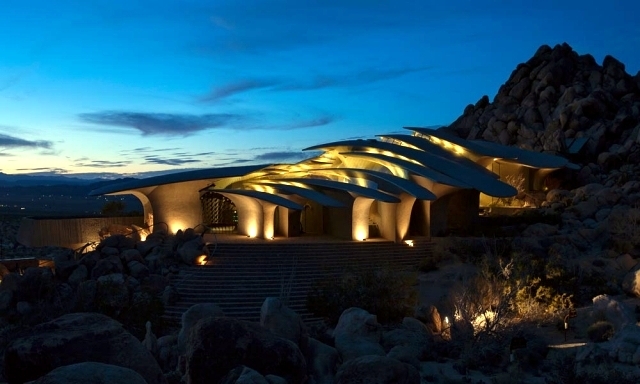 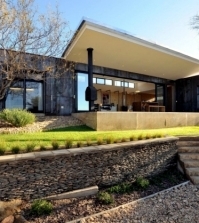 This modern residence was designed in the colors of the desert and blends in with its environment. 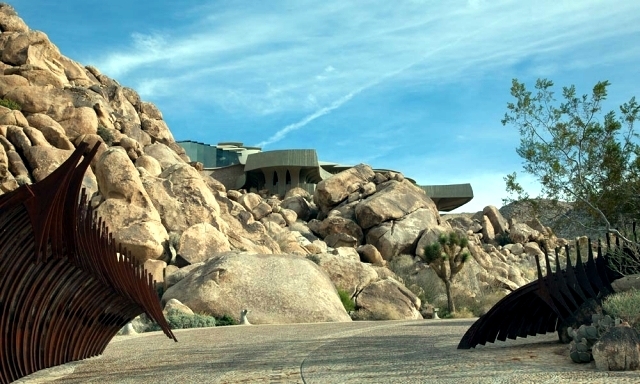 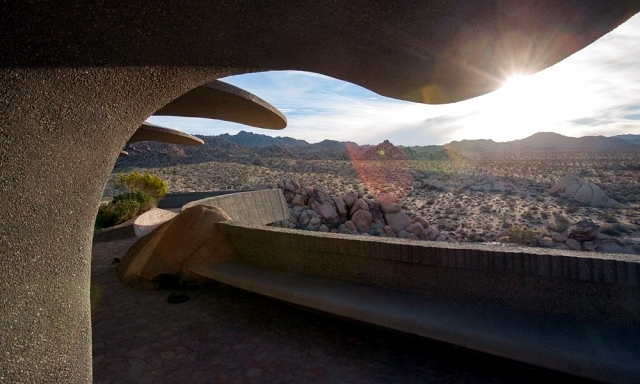 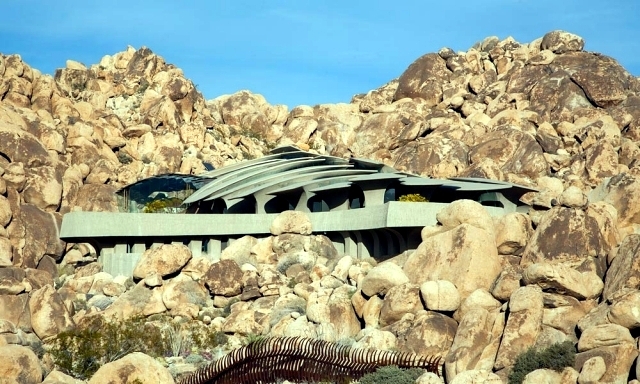 House at the forefront in the California desert is reminiscent of a prehistoric beast in deep sleep, a lone giant dinosaur skeleton. 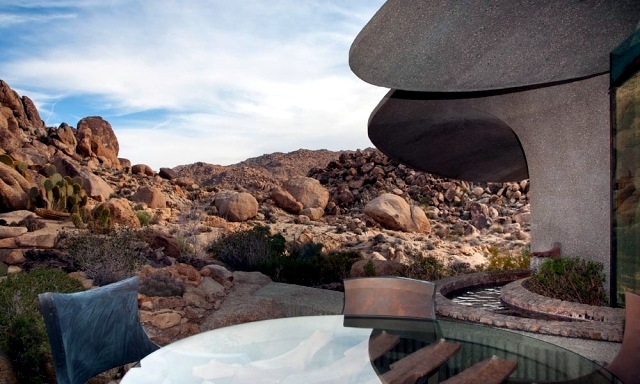 At a stone's throw from Joshua Tree National Park removed, the houses of residence contemporary design behind panels ribbed cast concrete living environment attractive and ultra-modern, safe from the harsh nature. 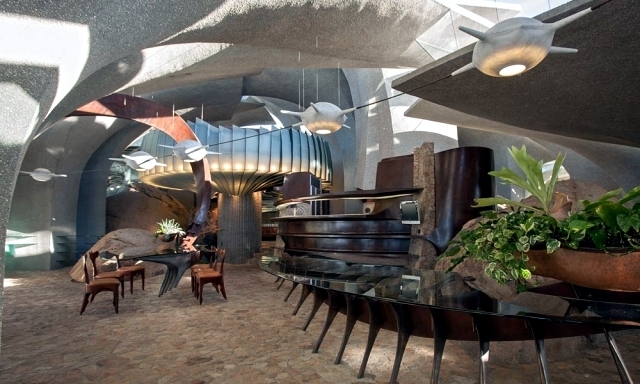 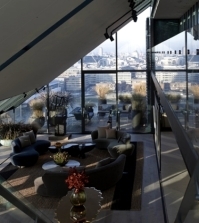 Among the unusual details within a building is an "umbrella" to see the dining room, which consists of 800 pieces of frosted glass. 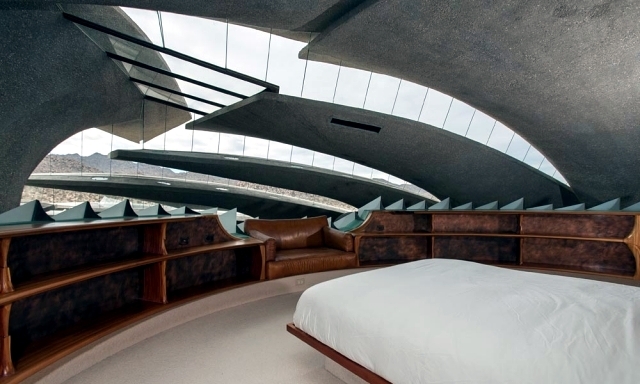 The bedroom has a sink at the foot bronze absolute highlight.